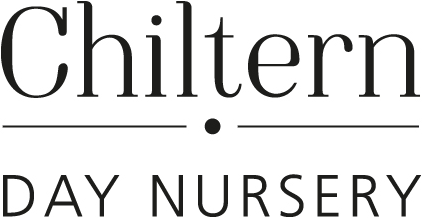 At Chiltern Nursery we understand that leaving your baby for the first time can be a daunting experience; because of this we do what we can not only to support your baby in the transition to a nursery environment but yourself as well. During the first months of a babies life they all need comfort and love. We shall ease the transition from home to nursery by making their surrounding homely, following your child’s routine, as close to home as possible. Your child’s senses are developing all the time and we shall work on sight, sound, smell, touch and taste by investigation and examining through play. As well as following the standards set out by OFSTED, we work within the Early Years Foundation Stage Curriculum to help support and guide your baby through the first months of their learning journey. Overall we shall provide them daily care which will intrigue and excite them, but also offer comfort and support to make them feel relaxed, secure and loved. A daily diary of your child’s development will be completed each day, detailing what they have enjoyed, their sleep times, food and milk consumed, nappy movements and general well being. This daily diary helps to build communication between the parents and carers and the staff about the individual child. We encourage parents to write back to us detailing what their child has enjoyed over the weekend, or any milestone that they have reached at home. At Chiltern Nursery we understand that communication is vital for your child to enjoy their nursery experience and for you to relax and enjoy your career, therefore we encourage parents to come and talk to us whenever they would like. Parents are welcomed to pick up the phone during the day for an update or to ask a question, no matter how big or small it might be.